Mountain bike riding is a popular sport nowadays, and everyone knows that there a few things that can raise your adrenaline like racing. If you love bike racing, then you might be looking for a new bike to replace your old model. But you don’t want a cheap one. You need a quality bike that would give you an advantage before your rivals. Unfortunately, you have a fixed budget, and you can’t spend a fortune on a new bike. Don’t worry because you have found the right place. 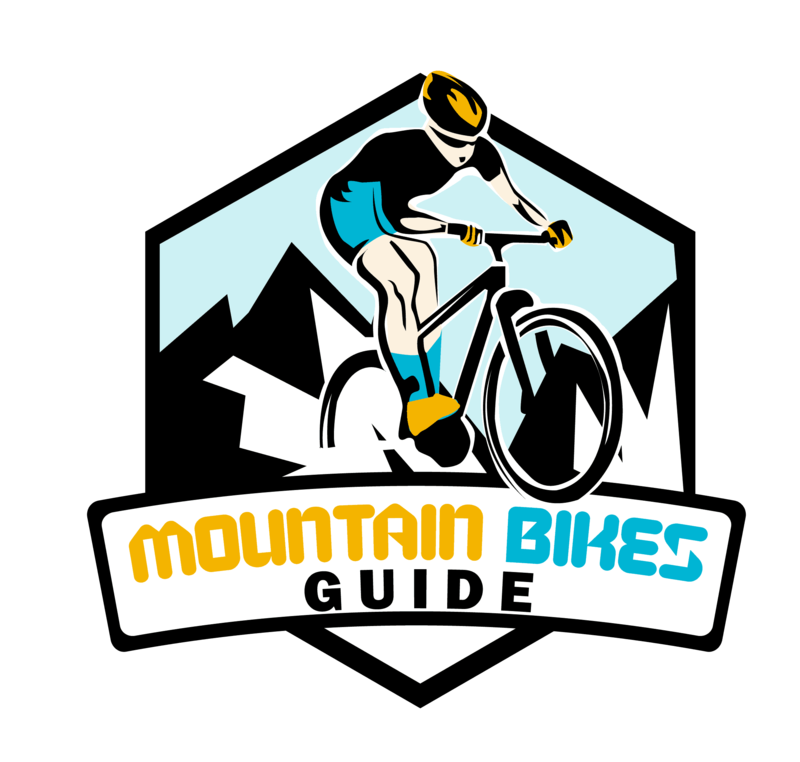 Here I’ve made up a list of the best mountain bikes under 2000$ that will be suitable for any biker that wants maximum speed and agility. 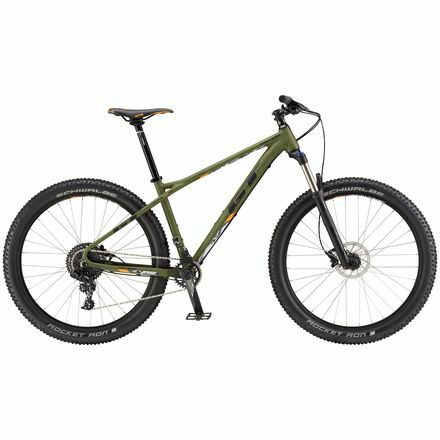 A full-suspension or a hardtail bike? 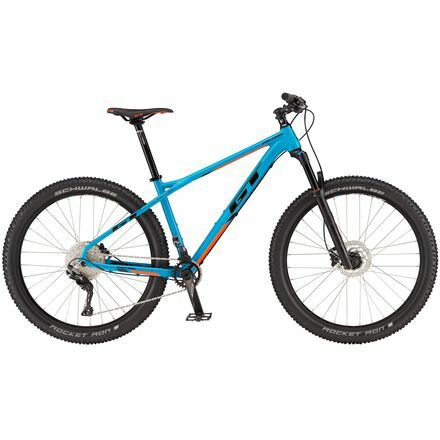 What should I choose - 29” or 27” wheels? How many gears are enough? If you’re considering bike racing for the first time, you might be wondering if it’s worth buying such an expensive bike. 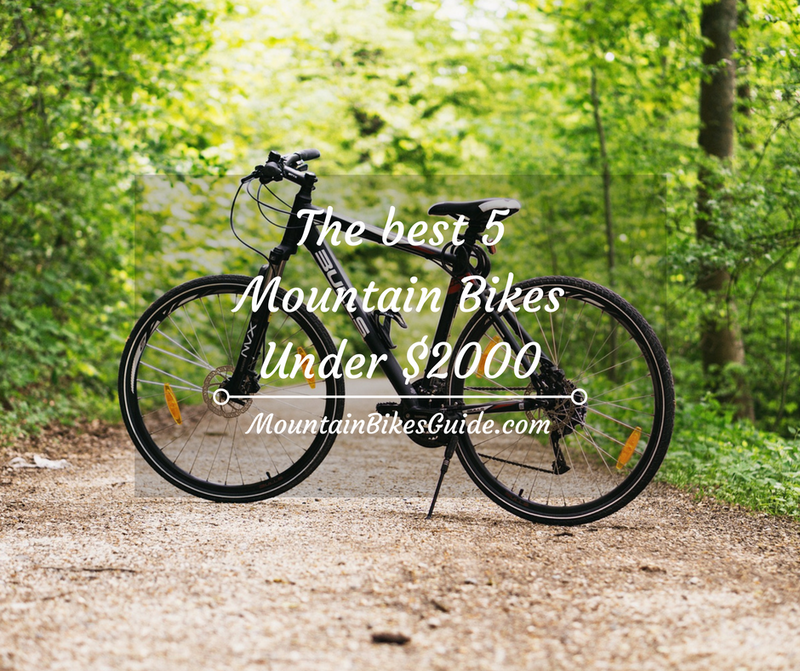 There are far cheaper versions on the market, and if you look online, you’ll probably find a ﻿﻿300$ ﻿﻿mountain bike. But remember what people say – buy cheap, buy twice. So if you need a bike for an occasional ride on a smooth terrain, it’s all right to consider a less expensive one. On the other hand, if you care about speed and durability, then you really shouldn’t go cheap. Here are some things that you have to consider when choosing a more expensive bike. The choice between the two depends on where you are going to ride your bike. For less steep and bumpy terrain, a hardtail bike is a perfect choice. It provides enough cushioning to absorb the shocks, and it’s light and responsive so that you’ll have fun while riding. However, for a rough terrain or a steep descent, you’d better get a full-suspension bike since the rear fork will provide better cushioning, and your body won’t ache after a hard day riding. But the main disadvantage of full-suspension bikes is that they tend to be heavier, and they are more complicatedly built than hardtails. This equals more maintenance and more expenses when it comes to repairs. Choosing the right wheel size is very important, as all professional biker know. But what’s the difference between these two types? Let’s see. Get a bike with 27” wheels if you are looking for better control and the ability to change direction with ease. These wheels are stiff and light, and they allow you to accelerate faster than large wheels. On the other hand, 29” wheels offer you better traction. You might hear the word “rollover” when it comes to such wheels, and it’s entirely justified because most obstacles are not an issue for these large wheels. But the 29” are generally heavy and add some weight to the bike. You won’t be able to maneuver with these big wheels as comfortably as with 27” wheels. Fortunately, the 27.5”+ wheels offer you better traction and stability, and they don’t add so much weight to the bike as their larger 29”cousin. If you can’t decide which one is the best for you, try a test ride with both sizes and then make a decision. If you logically think about it, 3x9 crankset might seem like a good idea, because you’ll have 27 gears at your disposal. But here’s a thing should keep in mind – more gears equal a more complex bike and extra weight. On the other hand, a 1x11 drivetrain keeps things simple. It eliminates the shifter on the left side and the front derailleur so that you have a light bike on your hands. Since you won’t be shifting from big to small chainring, the risk of a mechanical problem is low. However, if you’re planning on a steep ride or you love riding uphill, then having more options for climbing and descent has its advantages. In that case, a 2x10 gearing might be just the thing for you. Decide on the type of the bike and where you’re going to ride it. Pay attention to the geometry of the bike. Watch the weight. Light bikes do everything better from accelerating to braking. Look at the warranty terms. 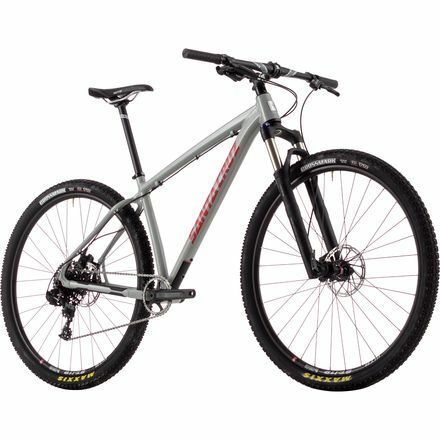 The GT brand is a well-known manufacturer of premium quality bikes so you can’t go wrong if you choose this Pantera Expert mountain bike. It’s has a light, but sturdy 6061 T6 aluminum construction with moderate geometry, so it’s agile and versatile. Due to the long front center, it provides an excellent balance for the rider and allows you to control your descents. When we add the 27.5 plus size wheels in combination with the 2.8 Schwalbe Rocket Ron tires that will allow you to drive in snow and mud, we have a bike that you can ride all year round and wherever you want. Another great thing about this bike is that it features RockShox FS-Revelation RL-A5 Solo Air, a 120 mm travel fork, so you won’t have problems outracing your friend. And due to the front suspension, your arms won’t feel the bumps on the road. Moreover, it’s equipped with Shimano 1×11 drivetrain - Shimano Deore XT rear derailleurs coupled with Shimano SLX shifters for smooth gear change. We also should mention that the GT Pantera mountain bike has Shimano hydraulic disc brakes and Shimano brake lever so that you have a sufficient braking power at your disposal. In conclusion, if you need a bike to amaze your friend and make all your rivals green with envy, then GT Pantera Expert mountain bike will be an excellent choice. And it’s painted in a gentle blue color that catches the eye. In addition to this, the manufacturer gives a limited lifetime warranty on the frame. The GT brand offers you one more representative of the Pantera model, for those of you who want an affordable bike. The Pantera Elite also feature 6061 T6 aluminum frame with front suspension to absorb shock and provide comfort to the rider. Thanks to the 27.5”+ wheel size coupled with 2.8 Schwalbe Rocket Ron tires, this bike won’t have to gather dust in your garage during winter. Moreover, the oversize wheels offer you excellent traction on all types of surface, and you’ll be riding it comfortably even on a muddy road or over cracks and roots. The main difference between the Pantera Elite and the Pantera Expert is that the Elite mountain bike is equipped with SRAM components instead of Shimano’s. Nevertheless, the SRAM's one-by NX drivetrain, including the SRAM NX 11-speed trigger, SRAM NX30 rear derailleurs, guarantees precise change of gears. Of course, for some of you, 11 gears might not be enough, but this innovative 1x11 setup offers you lighter and simpler bike for intuitive handling. Another thing that we should mention about the Pantera Elite is that it has SRAM DB Level hydraulic disc brakes so that you don’t have to worry about stopping suddenly. Overall, this is an excellent model for trail riding or cross-country riding, and it’s offered in sizes from XS to XL. However, there is only one color option – military green. The Santa Cruz mountain bike another model that offers many advantages to any competitive biker. It’s made of hydroformed aluminum, and it weighs only 12320 g so that you can have both agility and fast acceleration at your disposal. It’s offered in stylish gloss gray/red and matte/black color, and it’s available in sizes M through XXL. You might think that such a light frame might not withstand a difficult trail but think again. This bike is built to endure rugged terrains, and it won’t crumble even off-road. Moreover, it’s equipped with large 29” wheels combined with Maxxis Crossmark tires so that you don’t have to worry about cracks or debris on your path. If that’s not enough, this mountain bikes has SRAM NX shifters (right only), SRAM NX rear derailleur, and SRAM hydraulic brake so that you can shift through the gears with a flick of your finger and stop at the nick of time. Although this bike is not full suspension, the front fork absorbs enough of the shocks to make your ride a comfortable one. The bike also has Santa Cruz Palmdale lock-on grips and WTB Volt Sport saddle. The bottom line is that if you need a bike for long-distance riding or unexplored terrains, you can’t make a mistake with the Santa Cruz Highball mountain bike. Are you looking for a bike that you can ride for miles? Then you might take a look at the Cooker 4 complete mountain bike offered by Charge Bikes. This model is made of a 6061 butted aluminum, and it’s painted in gloss black color that makes it a stylish choice for anyone. Unfortunately, it’s not a full-suspension mountain bike, but the RockShox Reba RL suspension fork will ensure that any trail chatter will be barely felt. 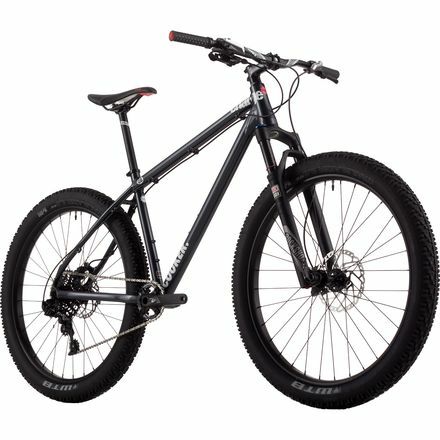 In addition to this, the mountain bike features WTB Trailblazer tires in combination with 27.5”+ wheels that offer you both traction and stability. Rolling through roots and debris has never been easier with a bike such as that. Moreover, it’s equipped with SRAM 1x11 drivetrain with SRAM GX shifter and rear derailleur which is great because you have enough speed options to choose from and you can change gears without much effort. When we add the Shimano SLX disc brakes that give you safety when going downhill at full speed and the Charge Spoon saddle, we have a bike that’s built with the rider’s comfort in mind. The GT Zaskar “Triple Triangle Design” makes an astonishing comeback in the Zaskar LE Expert XT mountain bike. This design is known for its durability, agility, stability and great acceleration force. The frame of the Zaskar LE Expert bike is made of aluminum alloys that are rightly named Speed Metal Ultra because each alloy is strategically placed. The result is a unique mountain bike frame built for durability and lightness. You can go both cross-country riding and mountain trail riding if you choose this impressive bike. What’s more, the Zaskar Expert mountain bikes features a front 100mm RockShox Reba RL 27.5 Solo Air fork in combination with double Shimano Deore XT drivetrain. That’s not all. This bike also has an FSA V-Drive MegaExo crankset, a Fizik Tundra M7 Mg saddle, and GT Statement grips. And thanks to the Shimano SLX hydraulic disc brakes, you can go downhill without worrying about ending up on the ground. But what about the wheels, you ask? This model features 27.5” wheels which strike a perfect balance between stability, control, and traction. 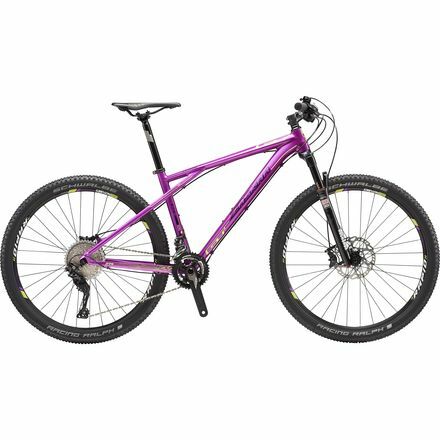 The Schwalbe Racing Ralph tires complete the picture, and the bike is painted in a stunning purple color. If that’s not enough, the manufacturer backs this frame by a lifetime guarantee. Although the 1x11 drivetrain doesn’t provide you with many speed choices, it means a simple bike with no added weight. If you are going for speed, that’s exactly what you need. Moreover, the plus size wheels offer the best of the 27” and the 29” wheels and you’ll be tackling all types of surface effortlessly. As you see, there are many options available to you if you want a nimble and fast bike but you don’t want to spend more than 2000$. I hope that I have been useful to you in your choice of a mountain bike. Think carefully and make your final selection.